Sheer glamour! 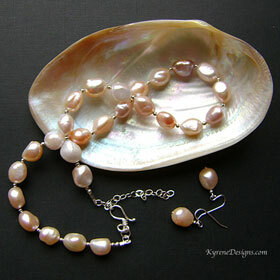 Large baroque cultured pearls - all natural pearl colours interspersed with tarnish resistant argentium silver beads for easy care. Length: 17 inches. Easy to use sterling silver hook clasp, plus 2" extender. Quality presentation box included. Strung on highly flexible jeweller's wire. Matching 30mm sterling hook earrings included. 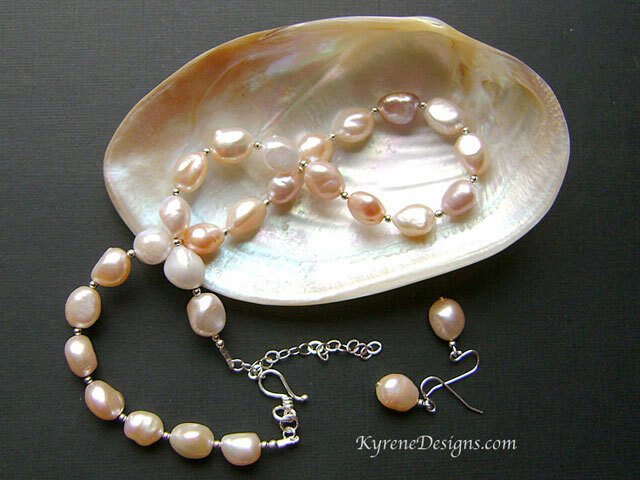 Options: contact sales@kyrenedesigns.com to swop to extreme hypoallergenic hooks. View our materials page for information on tarnish resistant argentium silver.